Chanteuse Country US née à Duncanville (Alabama). Sherry Bryce born in Duncanville, Alabama, is an American country music artist. Between 1971 and 1977, she charted fifteen times on the Billboard country singles charts, including seven duos with Mel Tillis. 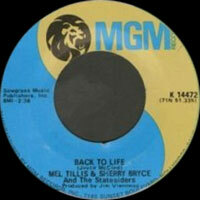 Their highest-charting duo was 1971's "Take My Hand" at #8. They were also nominated in 1974 at the Country Music Association awards for Duo of the Year. At the time, both she and Tillis were signed to MGM/Curb Records, and she recorded two duo albums with him. Bryce released six solo singles on the label and two solo albums but none of the singles reached higher than #45. 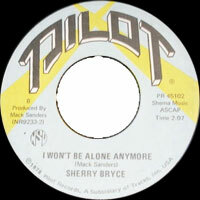 Bryce also recorded briefly for MCA and Pilot Records in 1976 and 1977, owning the latter label with her husband, Mack Sanders.